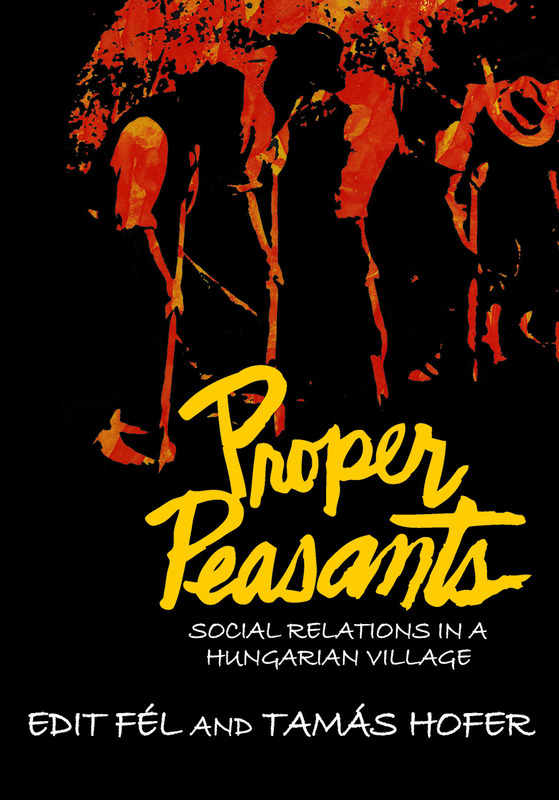 Based on an intensive fourteen-year study of a Hungarian peasant village, Proper Peasants greatly expands our knowledge of Eastern European social organizations with its accurate portrayal of a rapidly vanishing peasant way of life. Centering on the village of Átány in central Hungary, the study presents a dramatic account of peasant life through the turbulent centuries. It is based largely upon evidence given by villagers themselves and is a moving human story of a com­munity with a tragic historical background and a complex, demanding present.Edit Fél and Tamás Hofer begin by locating Átány within the historical, geographical, and cultural context of Hungary as a whole. The following chapters describe units of social organization and the human relationships within and among these units. There is a special analysis of stratification and mobility within the changing structural situations of the past hundred years. Objective information about all the dimensions of village life is obtained from a comparison of Átány with nearby villages and from the use of local records. The book portrays the attempts of the community to classify, organize, and understand the universe within which lives and to control the unexpected and varied demands that have been made upon it by changing circumstances.This work makes excellent use of the strong 150-year tradition of ethnographic research in Hungary. The discus­sion of the warm personal relationships among the Átány people is supplemented with extensive statistical material on demographic processes, economic structure, and stratification. The picture that results is rich and fruitful, particularly so in a post-communist nation.